The Datavideo PTC-200T Video Camera is a 4K UHD PTZ camera that utilizes HDBaseT Technology. That means it can use a single CAT-6 cable for transmitting power, video, and camera control. It can be mounted on a wall, ceiling, floor, or a tabletop. The camera captures up to 4K (3,840 x 2,160, UHD) video at 2160p29.97/25 resolution, and features wide dynamic range with backlight compensation. 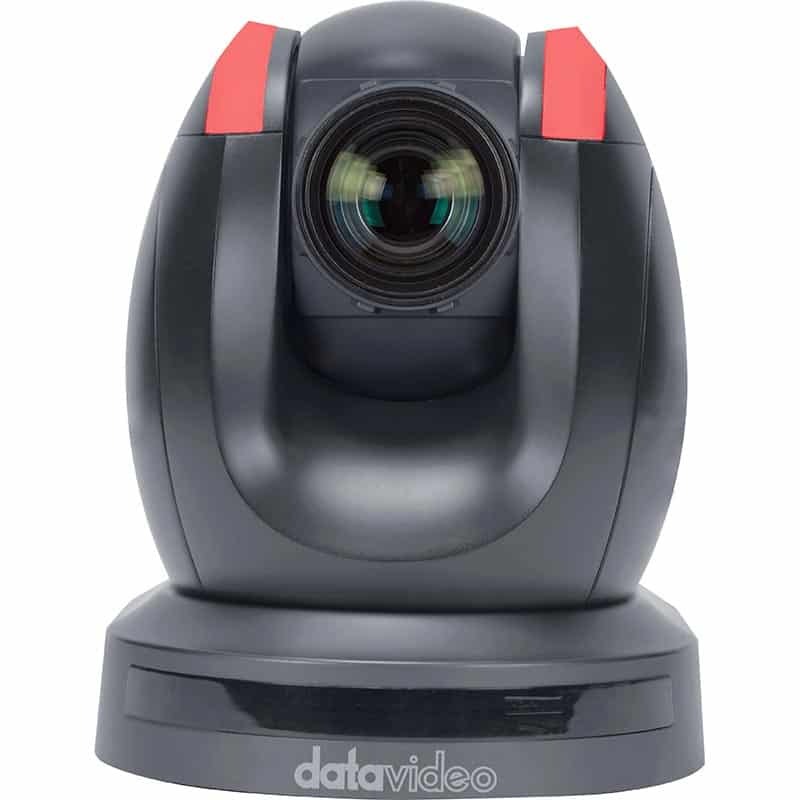 The Datavideo PTC-200T camera features a motorized 12x optical zoom capability, and its image mirror and image rotation functions allow you to electronically adjust the image and deliver a correctly oriented image. 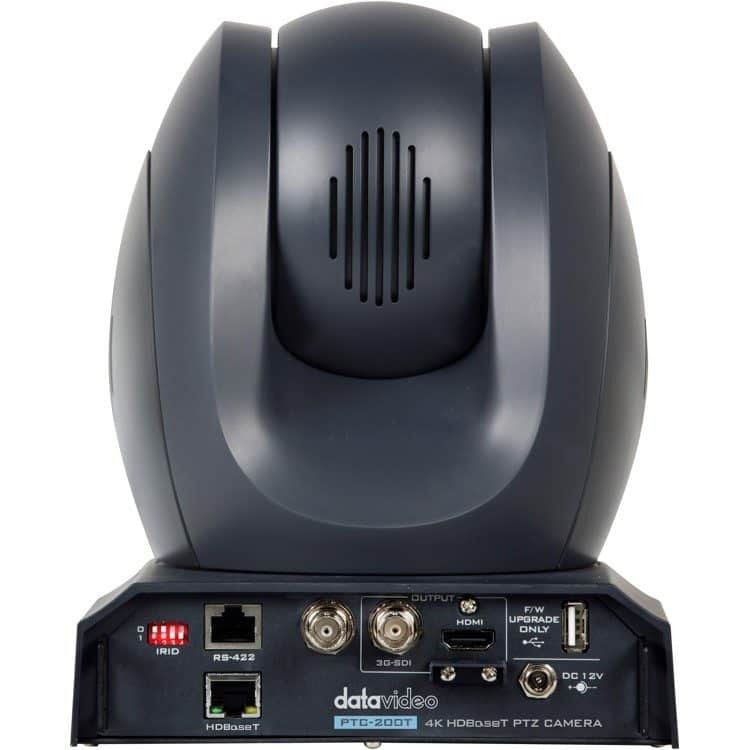 50 programmable presets including pan, tilt, and zoom positions, allow the camera to quickly move between predetermined camera positions using the remote, or an available PTZ controller. For multi-camera shoots, the built-in tally light can identify active camera. The camera features a built-in IR cut filter in the image path for low light shooting, and then returns for daytime shooting. Moreover, Datavideo PTC-200T supports real time position report on a per frame basis; this will be helpful to virtual studio application. The camera supports Sony VISCA protocol for PTZ control using RS-422 interface over the unit’s RJ-45 port.